Apple Cider Vinegar has been used as a natural remedy for centuries, it may help to lower blood glucose levels, it can promote weight loss & digestion, it can be applied to relive sunburn and to kill off skin fungus, the list goes on. 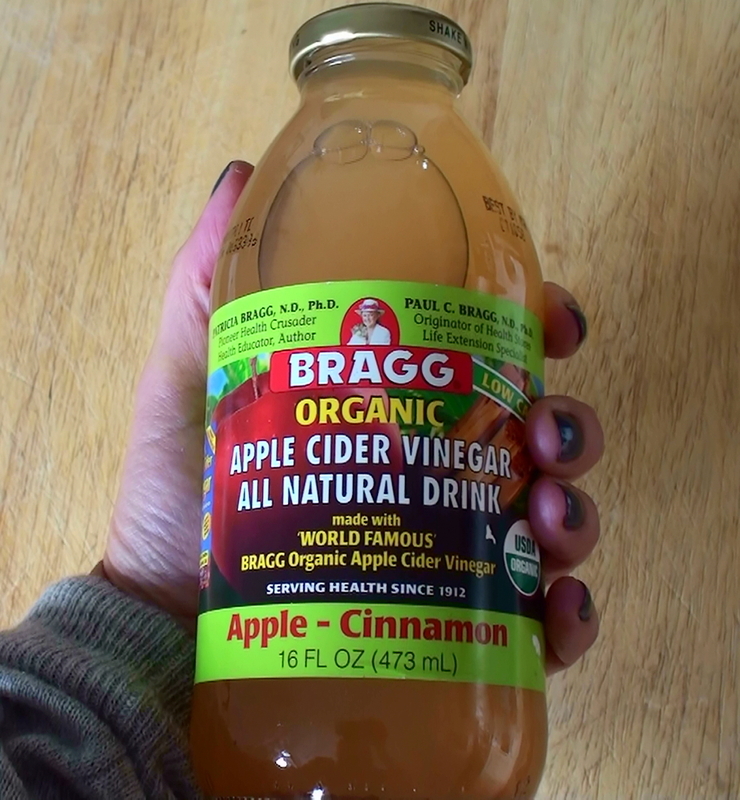 I found this pre-mixed vinegar drink from Bragg at the health store recently. it’s a mix of apple cider vinegar, apple juice, cinnamon and stevia extract and It’s actually quite tasty! It was reading Paul C Bragg’s book over 20 years ago that got me into fasting, and I still incorporate some of their ideas into my every day life, like the cleansing salad that I eat at least once a week. Actually, another really easy (and, believe it or not, quite nice tasting) alternative is to sip a teaspoon of good quality apply cider vinegar (e.g. Aspall) and a teaspoon of manuka honey dissolved in COLD water. This, apparently has really good cleansing properties and also provides essential trace elements in minute quantities that can be absorbed by the body. Thank you for the tip, will definitely try blending the apple cider vinegar with Manuka honey!